I received compensation from Dr. Scholl’s® to write this post. All opinions are my own. If you meet me IRL (In Real Life), you would see that I am constantly in heels. With a height that I will gently call 'Vertically Challenged', I like the added height of a heel all day every day. Because I wear heels so often, I am constantly on the hunt for solutions to make those heels comfortable. Not all heels are created equal and some are definitely more comfortable than others. 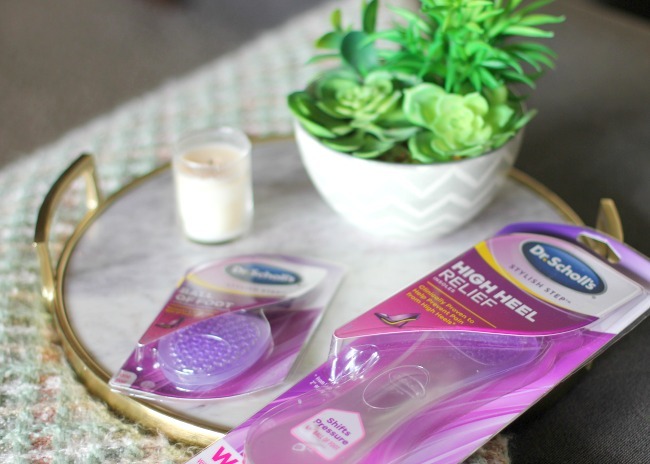 I can't tell you how pumped I was to see the new Dr. Scholl's Stylish Step™ High Heel Relief Insoles - finally an insole that is designed for the narrow foot of a high heel shoe. Sure, we have all tried the heel pads or the ball of foot pad but you will be completely converted once you try Dr. Scholl's Stylish Step™ High Heel Relief Insoles. It is virtually a game changer! Along with the Stylish Step™ High Heel Relief insoles you can also find gel pads for specific problem areas like the Stylish Step™ Ball of Foot gel cushions or the Stylish Step™ Gel Heel Liner. Finding them is easier than ever - just pick them up on your weekly trip to Target. Right now Target is offering a Cartwheel promotion for Stylish Step™ insole products, find out more here. You can find them in the foot care aisle near the pharmacy. A few dollars later and you will feel like you are walking on air. 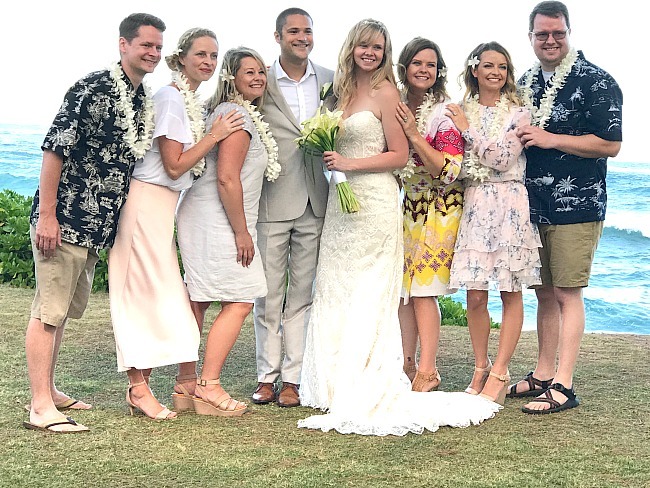 I decided to really put these insoles to the test on my recent trip to Kauai for my baby sister's wedding. Not only were we running around doing wedding prep but we also had the ceremony, appetizer hour, dinner, and then dancing all night. I was running around in four inch wedge platform sandals from 2pm until 11pm and I danced the night away without foot pain. That is what I would call a major win. The last five years I have attended New York Fashion Week in September and every time I attend my feet are killing me by the end of the trip. Each time I have to put on a new set of high heel shoes I cringe because I know I am in for some serious foot pain by the end of the day. I can't wait to put these Dr. Scholl's Stylish Step™ High Heel Relief insoles to the test on my next trip. They will certainly ease a large portion of the foot pain that is associated with wearing high heels all day long. Plus, I like that this allows me to not compromise style for comfort. In the image below you can see how the Dr. Scholl's Stylish Step™ insoles fits perfectly inside the sole of my high heel wedge and doesn't peek out at the edges once my foot is in the shoe. Between the insoles and my lotion trick, my high heel game is on fleek. What is the lotion trick you ask? Rub a small amount of lotion on your foot before you put on your high heels. This will reduce friction on blister prone areas of your feet as well as allows you to easily slip your foot into the narrow foot bed of a high heel shoe. Trust me, this little tip combined with the insoles is pure comfort in high heels. I would love to hear any tips you have for making high heels comfortable. I would hate to go another thirty years without realizing a simple solution was so easily available!